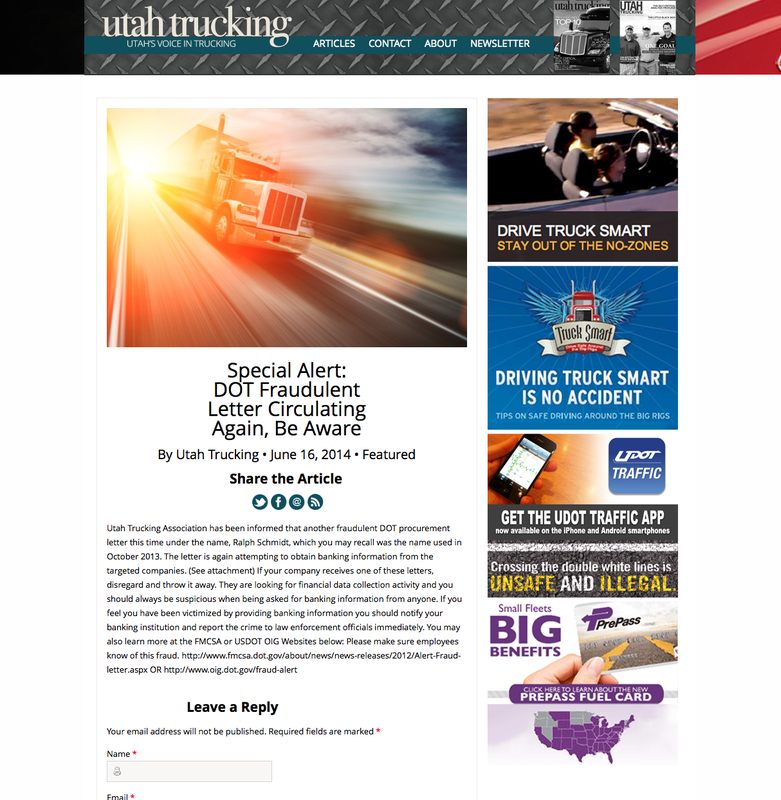 Utah Trucking Association is a non-profit agency helping to supply the needs of the Trucking industry in Utah. 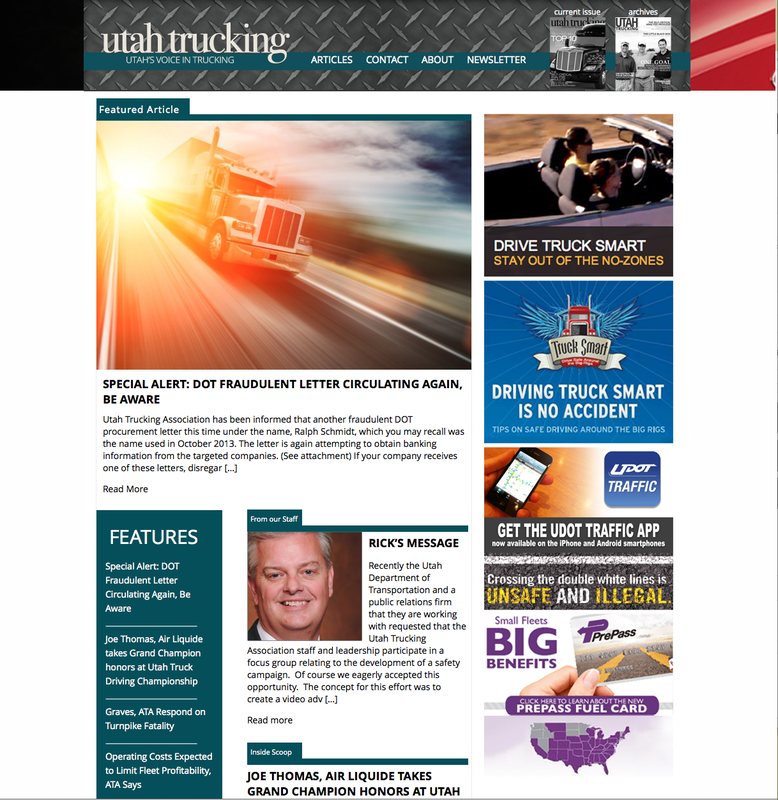 UTA offers seminars, legislative advice and lobbying on behalf of the Trucking industry. They also provide discounts on insurance, supplies and other products. I designed a website to be a companion to their print magazine that is published bi-monthly.